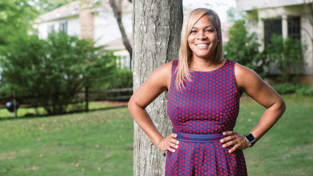 Mount Holyoke College Professor of Environmental Studies Lauret Savoy was presented with the American Book Award from the Before Columbus Foundation in San Francisco on October 30. 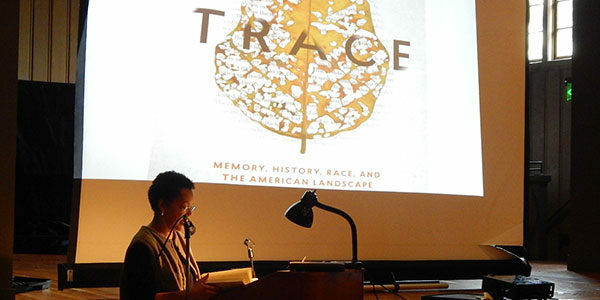 Her recent book, Trace: Memory, History, Race, and the American Landscape, explores ancestral, cultural, archeological, and personal history while demonstrating how both a person and a terrain become marked by experiences. At the ceremony Savoy joined the ranks of impressive past recipients, including Toni Morrison, Quincy Troupe, Leslie Marmon Silko, Louise Erdrich, and Jamaica Kincaid—all of whom were recognized for their contributions to outstanding literary achievement from the spectrum of America’s diverse literary community. 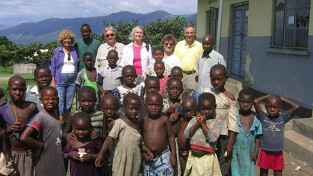 In attendance for this special occasion was Savoy’s former student, Aileen Suzara ’06. 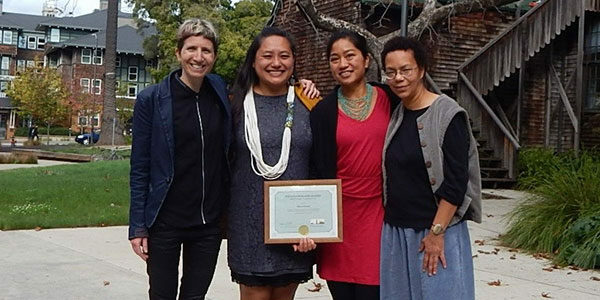 Suzara, an alumna of UC Berkley’s Masters in Public Health Nutrition program, was honored for her work at the Berkeley Food Institute, where she took a leadership role in their community engagement program, which aims to build bridges between the university and the broader food and agriculture community. A land- and kitchen-based educator and public health nutritionist, Suzara also has spent much of the last decade working on health inequities facing her fellow Filipino Americans—including diabetes, hypertension, and cardiovascular disease—largely by helping to promote the growing and sharing of healthy food.